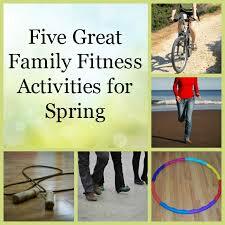 April 22, 2014 April 25, 2014 k3fitLeave a Comment on Family Friday Fitness Challenge! At Fitness You Can Live With I believe that fitness should be a family affair, it is more important than ever to make fitness and healthy living a priority for all families with obesity rates at an all time high. Get off the couch a few days a week and commit to 30 minutes of any kind of fun activities getting everyone involved. MY CHALLENGE TO YOU IS: Create a family fitness EVENT or CHALLENGE for 30 min or longer. This can be anything the family decides. 6.Playing a game like kickball,baseball,football,basketball etc. Choose one of these or create your own, it doesn’t matter as long as you get everyone moving. Kids will love this and be more than eager to do things like this with you, I know some of my best memories are playing wiffleball with my mom and playing catch with the football with my dad as well as family relay games that my mom always created for family events, these things are awesome chances to create memories and healthy habits of getting out of the house and getting fresh air outside! I CHALLENGE you to take pictures and share on this page. You never know who you will motivate and inspire to be better everyday and get involved in something new. So lets see what you got!